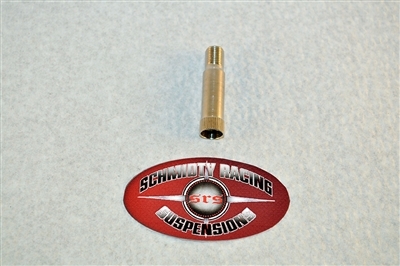 Schrader valve extension part is chrome plated brass & threads onto the recessed schrader stems on some shocks to extend them to where you can put a no loss chuck fill-tool on. Works as advertised. It's a valve extension. There's only so much to review about. Am using it to extend the valves on my suspension components and use the shock inflator that I have to more repeatability in setting my pressure. Seems to be able to handle high pressures (think 350 PSI max).